At Best Buy Windows & Siding LLC of Dallas, TX, we’re known for our top-quality construction and home improvement services! Thanks to our highly skilled team of experts, depth of experience, and superior products, we have a reputation for being the #1 provider of custom windows and siding for our beloved DFW community. For over 30 years, we’ve installed and sold the best of the best in custom replacement windows, vinyl siding, and expertly designed patio covers. Here at Best Buy, we’re truly proud to deliver the best products and services every time we work with homeowners and businesses throughout the DFW area. A swiftly growing city, Allen’s population has risen from 43,500 to nearly 78,000 in less than seven years. Part of the growth can be contributed to the retail industry, with the town taking on huge retail shopping center projects in the last few years. These began with the Allen Premium Outlet Center, which hosts name-brand outlet stores of all kinds. Recently, the city has added a Super Walmart and Cabela’s, which has made Allen a shopper’s paradise. 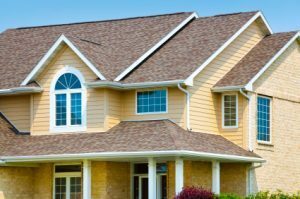 Here at Best Buy, we pride ourselves on offering a wide array of high-quality services to our clientele – whether you need top-of-the-line vinyl siding, custom-made windows, or professionally designed patio covers, Best Buy is here to offer our expert advice and ensure that you acquire what’s best for your home. Our qualified, knowledgeable technicians are happy to consult with you and help you come up with a solid personalized plan. Whether you’d like to improve your home’s aesthetic allure, increase your house’s resale value, attain higher energy efficiency, or have better insulation for your home’s interior/exterior, we’ve got you covered! As soon as we’ve gotten a clear understanding of your home improvement needs, we will provide you with a concise pricing quote with our recommendations, so you know exactly what your investment will entail. Your satisfaction is paramount to us – we ensure that there will be no additional expenditures, should we require additional resources or time to get the job done right. If you’re ready for a dramatic home improvement, CALL US TODAY for a free private consultation with one of our experts, or sign up for one of our free Window, Siding, or Patio Buyer’s Guides!